D.A. Confidential: Clean your chimney! That is, if you're planning to use it this winter. We had a half-cord of firewood delivered yesterday and with the first cold threads of winter drifting over Austin we decided to celebrate with a nice fire. Ten minutes later, a stranger knocked on the door. "Your chimney is on fire." Flames were coming out the top, he said, and it looked like a jet engine up there. "We'll take the fire option, please." 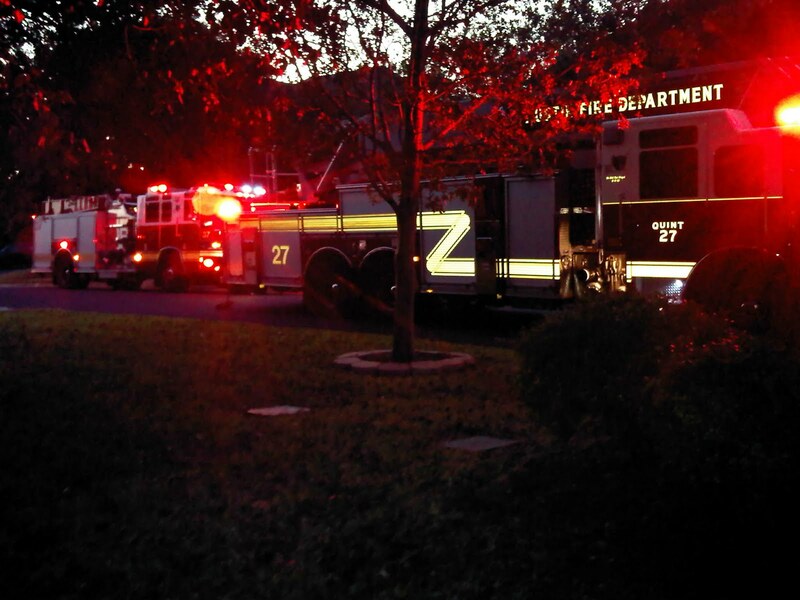 Can't have been five minutes and three engines arrived in the cul-de-sac, lights and sirens, men in masks and heavy-duty gear. "You ordered strippers?" I asked my wife. "They're here." They were calm, these boys, checked the house inside and out, got on the roof and took the top off the chimney to make sure it wasn't a bird's nest on fire. It wasn't, just a build up of creosote because my wife had been too lazy to order in a chimney sweep. Shocking, I know. 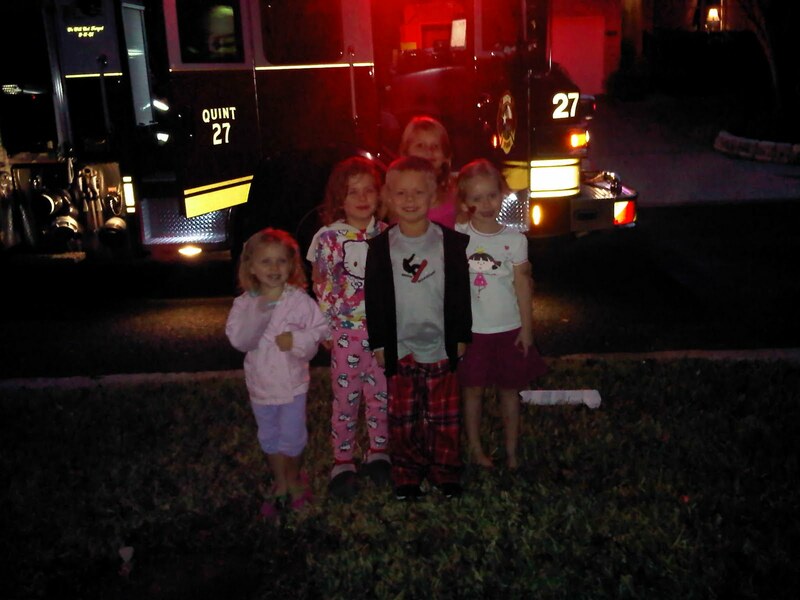 On the plus side, the firemen found Santa's left boot. He'll be glad to get that back. But seriously, thanks to those guys for being so fast, so thorough, and so friendly. Also for the reminder to check our smoke alarms (which I did. They all worked.). And the kids, as you can imagine, loved all the action. So, if you have a chimney, and plan to use it, I strongly suggest you avoid the jet-engine effect by calling your local chimney sweep. It'll help the economy and Santa will thank you. Awesome! A chance to defile the sanctity of an attorney's home by traipsing through the living room, wearing sooty boots and by the discharge of a fire extinguisher up into the flue. It doesn't get any better than that, even if the attorney does wear a white hat! Actually, glad this wasn't any worse. Depending on the age of the chimney and the amount of use, these things can be a real problem, especially if reconstruction is required. Make sure the chimney sweep you use is reputable. There are crooks out there who don scarves and top hats, yet don't know how to properly clean and inspect chimneys. Fortunately, where I live, these events are pretty rare. Chimneys just don't get used that much. Your wife was too lazy?! Schmoe: neat blog, I enjoyed reading it. 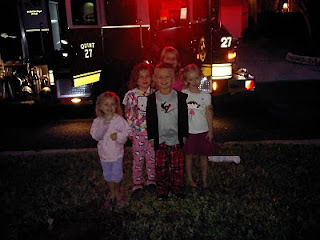 And thanks for stopping by - our Austin firemen were kind enough not to make a mess of the house. Alex: You're not the first person to call me out for my wee joke... her sister was! @Capt. Schmoe -- LOL! Thanks for the yuks! @DAC -- Glad you'n'yours are okay (and that the Missus has not beaten you senseless). Valuable lesson learned the hard way and shared with others. And yeah, firefighters rock. Mate, most arsonists set fire to other people's houses, not their own .... and that comment about Sara was a joke? Lucky you're English and can get away with that!